Pycnogenol is a unique combination of proanthocyanidins obtained from the bark of the French maritime pine. 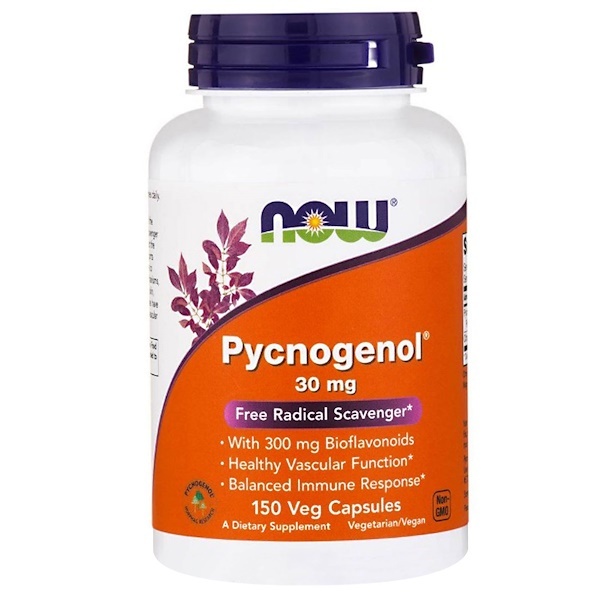 As a potent natural scavenger of free radicals, Pycnogenol helps to protect the body's tissues from oxidative stress and supports a healthy, balanced immune system response to normal metabolic stress. Through these mechanisms, Pycnogenol helps to maintain vascular strength and function. 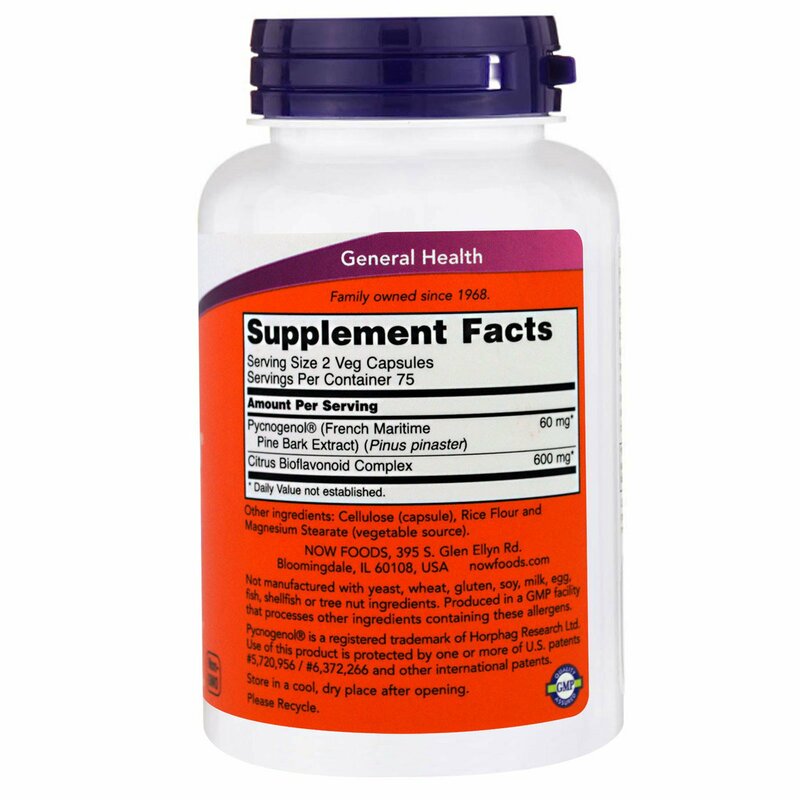 Take 2 capsules 1 to 3 times daily. Cellulose (capsule), rice flour and magnesium stearate (vegetable source). Produced in a facility that processes other ingredients containing these allergens. Stored in a cool, dry place after opening. Caution: For adults only. Consult physician if pregnant/nursing, taking medication, or have a medical condition. Keep out of the reach of children.